Here is a picture I saw on facebook about a different way to garden. The only caveats: the bag will weigh a lot so make sure that where you put it, is where you want it (you might try putting it on a cart with wheels if you want to move it to catch sun) and that what you put it on, is able to hold it’s weight. Also, PUT DRAINAGE HOLES UNDERNEATH, LOTS OF THEM! Try shallow rooted veggies like radishes, round carrots, lettuce, spinach, beets etc. 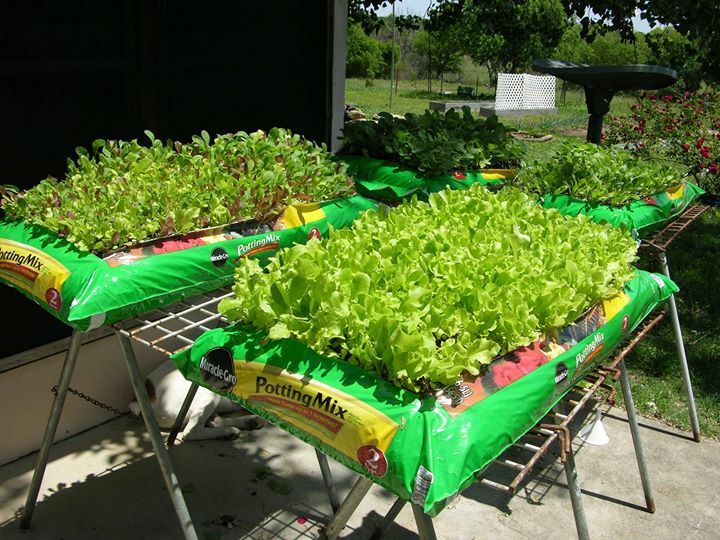 This entry was posted in gardening, gardens, General Ramblings, seed starting, Tomatoes, Vegetables and tagged container garden, garden, gardening, handicap accessible, lettuce, small space gardening, vegetables by elzbthc. Bookmark the permalink.